Pros: Moves air with a surprising amount of force (see below). Padded corners (see below). Sleeved cables. Sturdy construction. Runs quietly at low to medium RPM, and noticeably but inoffensively at high RPM. Other Thoughts: These are fantastic fans. I purchased a pair to augment the stock configuration of my Fractal Design Define R5, and they did their job beautifully, but there were a few complications along the way. At first, I put one of the fans in the rear as an exhaust, and one in between my HDD cage and my PSU as a bottom intake. 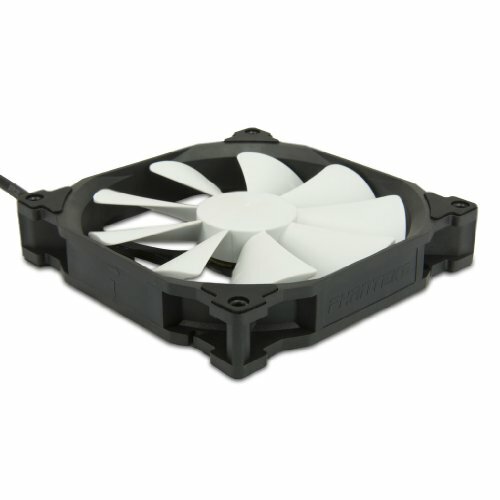 However, in the bottom intake position, the fan would intake air with enough force to pull up on the air filter (the filter is ever so slightly bowed away from the bottom of the case). At certain RPMs, this affect would vibrate the filter. 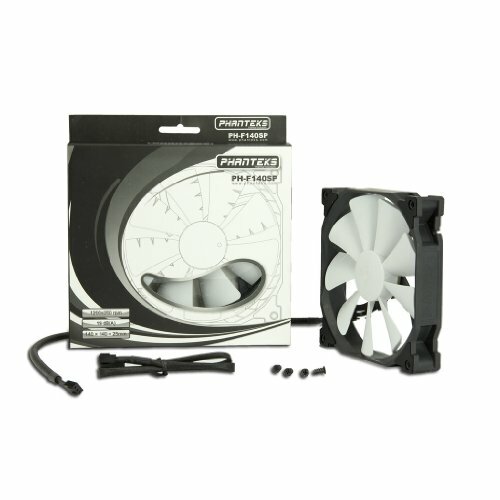 The vibration resulted in me swapping the locations of my 2 Phanteks fans with the stock fans. 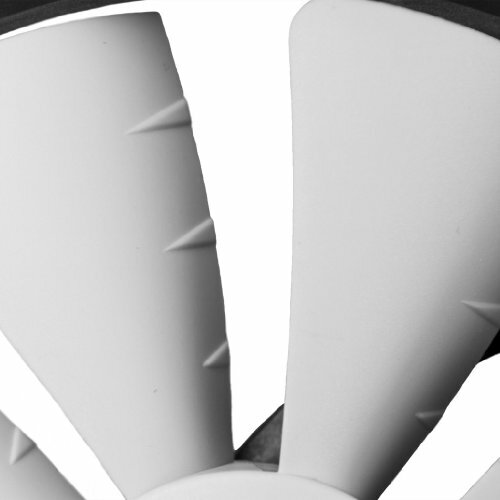 The stock fans are held in the front with pass through screws, which are just a tad too short. Though this fan is the standard 25mm thick, the padded corners add a millimeter or 2 of thickness, which meant my screws weren't long enough. So I had to take the pads off. They're easy enough to press fit into their notches if I ever need them again. They're absolutely silent in my case. 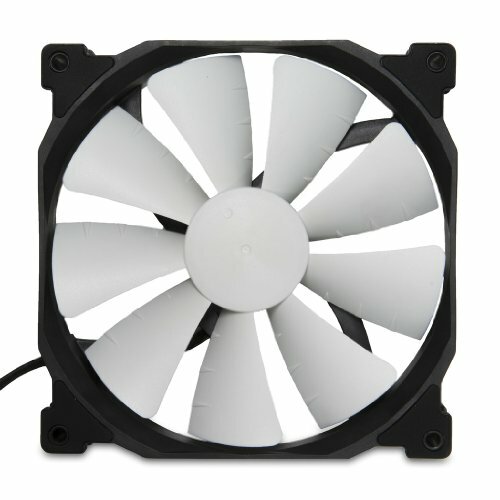 Great case fan (I have 5). Moves tons of air while remaining relatively silent (hooked up to fan controller). 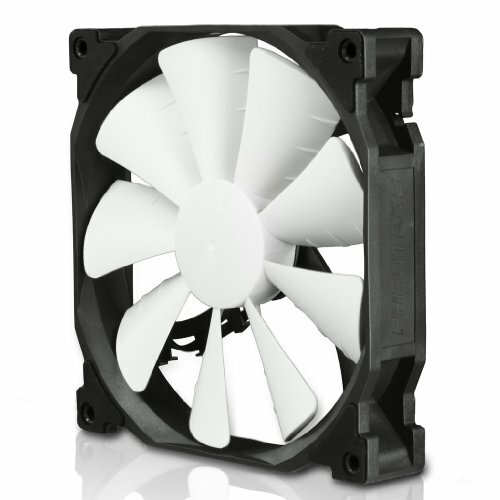 Had a Phanteks case so these fans were a no-brainer aesthetically. A little expensive I found various discounts on these and jumped on them. Got them all for under 40 usd :). I have the fan controllers in an array so to promote positive air pressure throughout the case (cumulative cfm for intakes is higher than exhaust) to compliment the dust filters in combating dust build up. Good looking and performing fan. Nice fan, good accessories, hard to screw in but got there eventually.